Chocolate producers in this region currently do not address forest cover loss and sustainable production; existing agriculture extension workers do not have training in chocolate field management, there is no field support. Forest cover is being cut down to make way Palm Oil Plantations, if chocolate producers can have a more sustainable yield, mixed with other forest species that could have marketable fruits and nuts (cashews, mangosteen, lychee and other shade producing species, they would not be lured into Oil Palm. 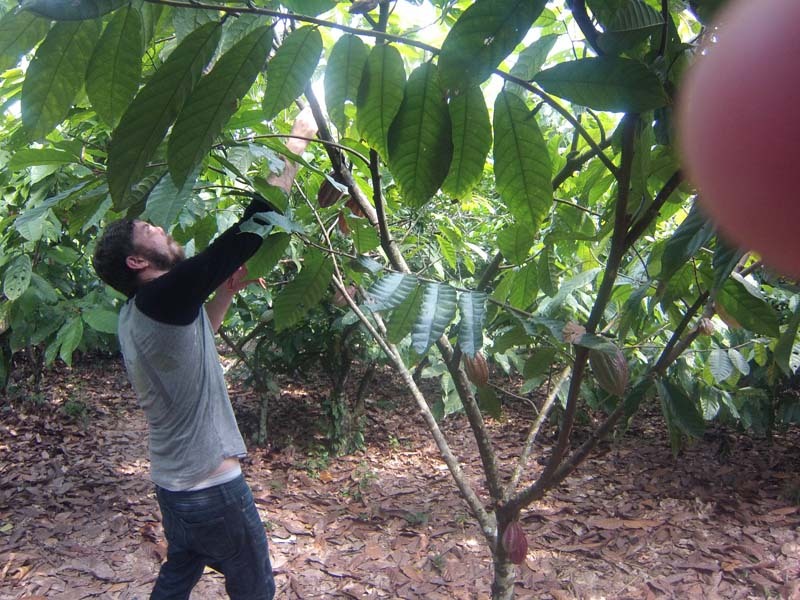 The Tree Project has expertise in chocolate production and also Analog Forestry, which is a proven methodology that address ecosystem health and economic sustainability. 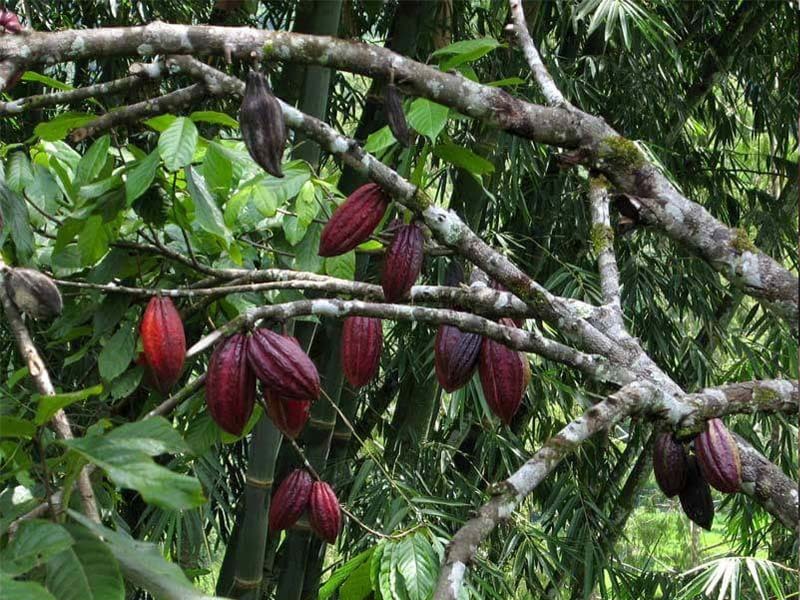 Farmers have been able to purchase cacao (chocolate plants) but there are no existing extension workers with expertise in this field. Training on crop mgt., AF, mixed cropping, and the need for diversity in planning, dependence on one species is never appropriate as companion planting is better for farm health and diversity of market crops gives more opportunity for markets. The Tree Project has expertise in chocolate production and also Analog Forestry, which is a proven methodology that address ecosystem health and economic sustainability. Farmers have been able to purchase cacao (chocolate plants) but there are no existing extension workers with expertise in this field. Training on crop management, AF, mixed cropping, and the need for diversity in planning, dependence on one species is never appropriate as companion planting is better for farm health and diversity of market crops gives more opportunity for markets. 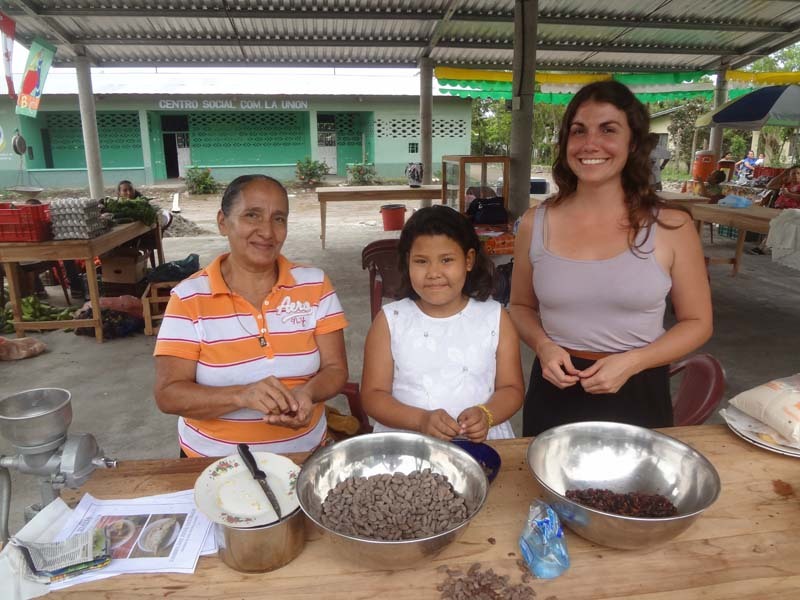 The Analog Forestry Hub in Honduras will enable training and field visits, and will establish a chocolate field site of 2 acres, where farmers can come to discuss all aspects of the supply chain. The average daily wage is $8 US, and work is hard to come by. Drug control is everywhere with the onslaught of gangs and gang warfare. To create and increase employment in the area and to reduce poverty, the Tree Project has established a local market, currently with 18 vendors selling, fruits and vegetables, eggs, cheese, crafts, fresh juices and local food. 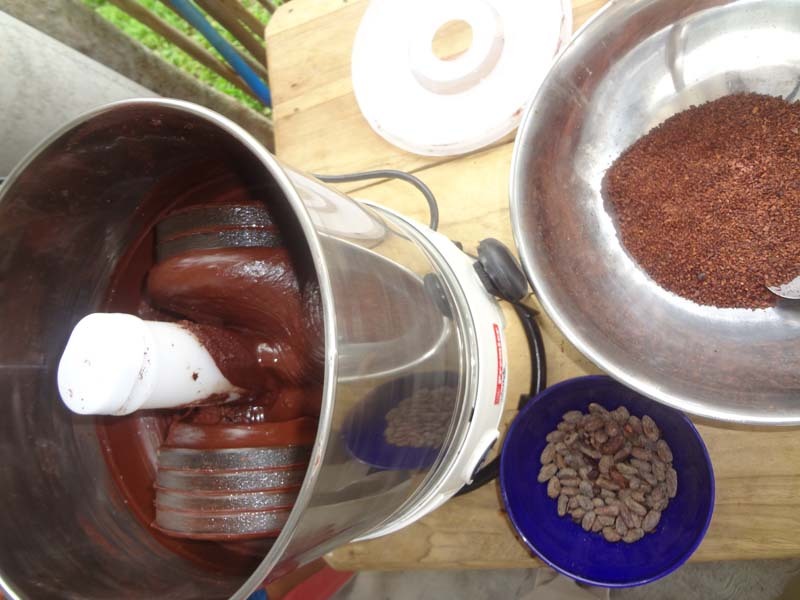 The Analog Forestry – Chocolate Project will be focused in two areas: Poverty reduction and sustainable forest management with chocolate as principal crop. Women are involved at various levels, drying the bean, fermenting the bean and we intend to include women at all decision making junctures. This is a very macho society and traditionally women are homemakers and not involved beyond managing the family, however our experience is that women when invited in are a great asset. The larger initiative is focussed on demonstrating in this area of Honduras, the North Atlantic Coast, that local employment can be created, protection and restoration of degraded ecosystems can be accomplished and underpinning it all is to provide an alternative to the drug business.